1. Which carriers supply the Internet connectivity to data centers? The resilience of the network connecting you to the cloud is very important, and the provider needs to provide adequate security and availability of their systems. Without adequate security, your system could be vulnerable to maliscious data and outside attacks. 2. What will you do in the event of an outage? Get information about the data protection services the provider can provide in order to avoid the loss of vital data and minimize the downtime. This is especially important if your business relies on it's data be accessible at any given time. 3. How is your previous track record? Since the cloud has evolved over the years, it has transitioned from exploration to deployment mode. You should look for a deployment history, references, credentials and methodology that is proven. The provider’s past history should provide you with an assurance of reliability, security and performance. 4. Can I try it before I buy it? So that you can better understand performance levels, it is important to be able to try it out for a long enough duration to be able to sufficiently assess the ERP system. It's important to make sure your cloud ERP system is going to be able to fulfill your needs before making a long term commitment to it. 5. Can we effectively integrate my existing onsite infrastructure with the network delivered services? Make sure that network delivered services can be effectively integrated with your current onsite infrastructure, in order to allow existing assets to be leveraged. Find out where your data will be stored and if local support and accountability is available for you. If there is no support available for you, you might find yourself running into problems down the line and hire additional professionals to help you. 7. Where is backup data stored? Discover when the last test of its DR was performed by the provider, and ask for access to these results. It is important to have your data stored at an easily accessible location. 8. What sort of plans do you have to address continuity if the primary data center gets cut off? Get information as to whether the provider offers an option to replicate your data both onsite and offsite, especially if your business will have no choice but to cease if all operations are lost. Assess all risks and find out the true costs. 9. Will my applications run on shared or exclusive architecture? Get information about how your applications will be run on a single tenant (one to one) or a multi-tenant model (one to many), as each has advantages and disadvantages that should be considered for each unique business. 10. What does the SLA report about downtime and uptime? If you don't know this answer you should ask your vendor for a further explanation. Make sure to develop a full understanding of what the SLA reports about downtime and uptime. If you have any questions about your ERP system, cloud hosting for ERP systems, or bringing your ERP to the cloud, please contact Equation Technologies today. Equation Technologies is a certified Sage partner, specializing in Sage 300 ERP and our team of consultants would be more than happy to help you out. 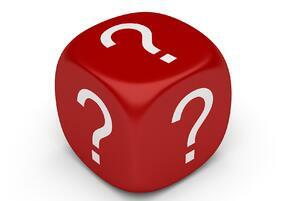 For more information on Sage 300 ERP, visit our page "What's new in Sage 300 ERP 2014? ".